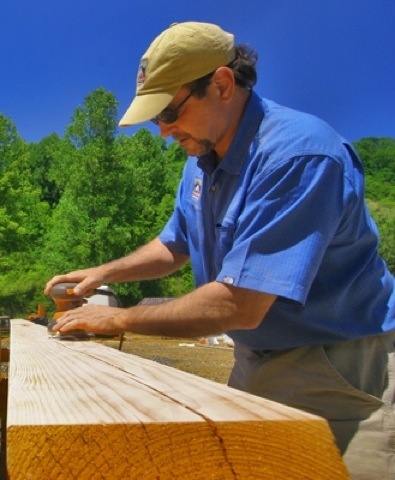 Steve Arthur is a founding member of the Timber Framer’s Guild with more than 30 years of timber frame design and construction experience. Steve and StreamLine Timberframe can help you achieve your dream of being in a beautifully designed and crafted home. We bring together timeless design techniques with traditional craftsmanship to deliver a truly unique approach that results in a home that meets your aesthetic dreams, livability needs and budget parameters. So take a minute or two to learn more about us and you’ll see one thing is clear, we are anything but business as usual. One of the keys to a successful home building process is good decision making. To make good decisions you need good information. That is why we focus on systematic knowledge sharing across the entire team. This closes the ever present gap between programming and budget as early as possible. By doing so, you get quality information about aesthetic design and construction budgets much earlier than normal. As a result, you are able to make informed decisions before you have invested too much time or money. This makes for a much smoother process for everyone and a home that meets your needs and dreams. We lead the process, but teamwork builds the home. Is by far the most environmentally friendly way to build.